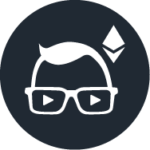 Tutellus ICO: Tutellus is a Spanish educational platform based on the Ethereum blockchain that allows students to earn money for their learning, and teachers for their teaching. The Tutellus Token (TUT) will be awarded based on accomplishments and ratings, meaning that both students and teachers will be motivated to achieve based on economic incentives. A major consideration in favor of this ICO is the fact that it has already been a successful, fully operational educational online platform for the past four years, with over One Million students from Twenty Spanish-speaking countries. The purpose of the Tutellus Token ICO is to provide this company with the means to alter its current operating format according to the structure outlined below. Earn between 70-85% for each course sold. Earn percentage of the money from subscribers based on the minutes per month spent on that teacher’s courses. Earn money based on activity generated, meaning that the more users are attracted to the platform for that specific teacher, the higher the bonus that that teacher will earn. Earns remuneration for each relevant search match-up between recruiters and students on the platform (based on skills learned from the teacher). For the above reasons, teachers will be motivated to tailor and improve their courses to be as relevant as possible for the students to the current job market, which will give students an advantage when they enter the job market. Free education – students earn Smart TUT (STUT) tokens towards their courses based on their performance and activity on the platform. They can then use their tokens as payment for future courses. It is possible for a student to earn up to 100% of their current courses value in rewards. Relevance – students can tailor their education to niche markets, therefor making them more attractive to future employers. Tutors – Students can earn tokens by tutoring other students. Accessibility – All courses are paid in cryptocurrencies through the Ethereum blockchain, thereby allowing students to access the network internationally without the need for transfer fees and intermediaries. Reduced Fees – Lower rates for students who choose to pay with cryptocurrencies over fiat currencies. Under-privileged students may have the opportunity to receive scholarships and future employment opportunities from companies interested in their skill sets. Companies can search for students who match the specific skill sets that they are seeking. Instant verification of a student’s skill set, as their courses and achievements are publicly available on the platform. Fees are much lower than with other sources such as recruitment agencies. They will need to purchase TUT tokens in order to access the platform. Companies will also have opportunity to offer scholarships to students based on the skill sets that they would like the students to acquire. To this end, Tutellus will match-up students with relevant companies based on their interests. The Tutellus Token (TUT) is the internal currency of the Tutellus platform, whereas STUT is an incentive token with purely on-platform functionality. This means that while TUT tokens are transactionable across platforms, the STUT can only be transacted within Tutellus’s network. Only 50% of STUT tokens can be traded for TUT, the reason being for the student’s possession of STUTs to incentivize students to continue furthering their education. Their STUT tokens will also give them a higher ranking for relevance searches, which is an important consideration if they plan on relying on the platform for employment opportunities. Tokens earned from recruited will be allocated as follows: 30% equally to relevant students, 20% equally to the teachers who provided them with the necessary skill sets, and 50% to Tutellus. The Tetullus platform is an interesting premise, as this platform seems to place most of the responsibility for finance on employers and recruitment agents, as opposed to students bearing the full brunt. It offers the potential for relevant and cheap/free education to students. This is especially significant for students in disadvantaged countries who would otherwise most likely not have been able to further their studies or enter higher-level job markets. It also gives teachers the opportunity to earn above the standard course costs, which is also a significant milestone in the educational industry.